This is the page where I tell you all of the important things about myself, such as my love of fun socks, tattoos, feminism, Converse, gummy candy, coffee, punk rock, YA books, and all things 90s. I suppose you may also want to know that I have a master’s degree in children’s literature from Simmons College Center for the Study of Children’s Literature in Boston, Massachusetts. I’ve has worked as a librarian, bookseller, and freelance writer. I’m a contributor to the School Library Journal-networked blog Teen Librarian Toolbox and review books for School Library Journal. 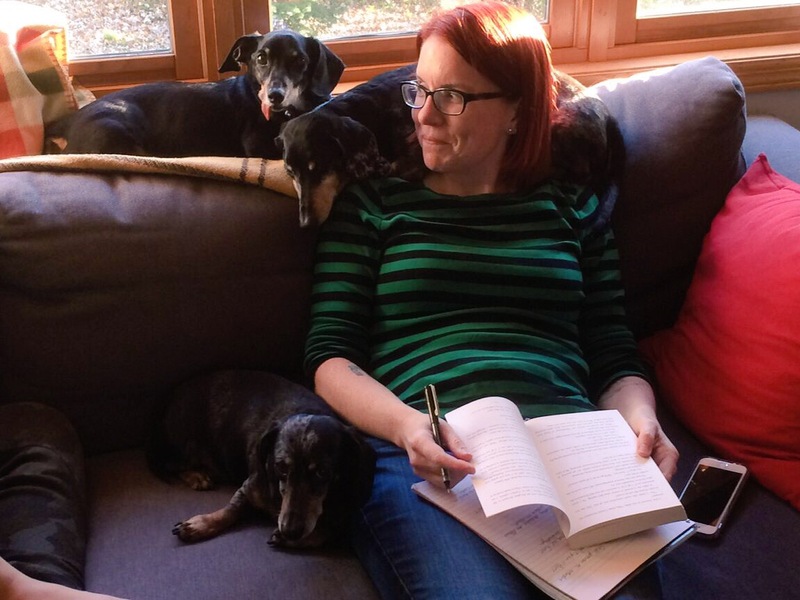 I live just outside of St. Paul, Minnesota with my software architect husband, our loquacious kid, and three elderly dachshunds, Edward Bear, Bilbo Baggins, and Oscar. I’ve been featured in School Library Journal as part of an article on supporting LGBTQ teens, written for Modern Loss, been on the podcast The Longest Shortest Time, and presented at Teen Lit Con and NerdCon: Stories. I’m represented by Andrea Cascardi at Transatlantic Agency. You can find me on Twitter @CiteSomething.